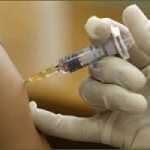 The Federal Capital Territory (FCT) Primary Health Care Development Board, says plans have been concluded to immunise children against measles in February across the territory. The Acting Executive Secretary of the board, Dr Mathew Ashikeni, disclosed this while speaking with news men in Abuja on Thursday. Dr Ashikeni explained that children between the ages of nine and five years would be vaccinated when the exercise commence in February 8 to February 13. He said that the immunisation would be conducted in all Primary Health Care centres, schools, on the streets and wherever children within the age bracket were found, to ensure no child is left out. 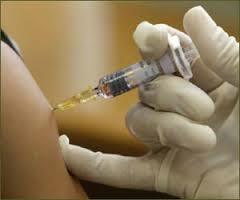 According to him, the vaccination is very important because of its adverse health implication on children. “A lot of blindness you see among our children is the consequence of complication from measles and it is also life threatening. Measles cause brain infection, life threatening diarrhoea, vomiting and malnutrition and many affected children die if it is not properly managed,” he said. The acting executive secretary urged parents to bring out their children and wards for the vaccination against measles.